Now on to stamping buzzziness. The design for this card is a case from regionals in September. It was made using a retired stamp set called A Wild Rose. In the current catalog on page 105, we have a similar set called A Rose is a Rose. 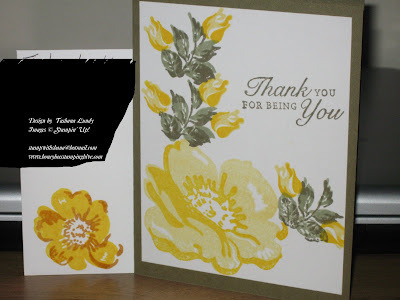 The technique used to create this beautiful card is Two Step Stamping. Enjoy your Wednesday.